Prepaid business credit cards are designed for small business owners who can’t qualify for or don’t want a typical business credit card. They require fewer qualifications than business cards while also limiting the owner’s risk. We compared business prepaid cards to identify the six that can best help a small business owner manage employee expenses. Bento for Business is the best business prepaid card option. You can load funds, set spending restrictions by day or by expense category, and turn employee cards on or off with one click. Bento will sync with your accounting software so you can track expenses easily. Best of all, the first 2 cards are free. Your business is unlike any other. That’s why we searched for a variety of business debit cards that cater to different types of firms. There are four key criteria we focused on in choosing the best prepaid business credit cards: Price, features, scalability, and liability. All of the cards on our list require no credit check. The best prepaid business credit cards offer cost tiers based on the number of cards issued. This allows smaller firms reasonable access and grants larger businesses scalable price breaks. Business prepaid cards are ideal for companies with cash on hand to fund their accounts and no need to build credit as business debit card activity is not reported to credit bureaus. After weighing the criteria businesses should use to choose a business prepaid card, we recommend Bento for Business as our best prepaid business credit card. It’s the cheapest option for small businesses because it offers the first two prepaid business debit cards for free. It also offers among the lowest monthly fees available for owners who need as many as 25 employee cards. Bento for Business is the best free prepaid card option for small business owners since the first two cards are free. We also found that Bento can be the most affordable option for businesses that will have 11 to 25 cardholders as the monthly cost per card could be as little as $2.76 — the lowest on our list. If you need three to 10 prepaid cards, Bento for Business’ monthly fee is a bit more expensive than you’ll find on the Netspend Small Business Prepaid Card. But Bento allows companies to grow with their card with tiered pricing that drives the cost of individual cards lower as your firm grows. It’s the least expensive card for firms that need 11 to 25 cards. Bento for Business waives monthly fees if you spend more than $20,000 per month. 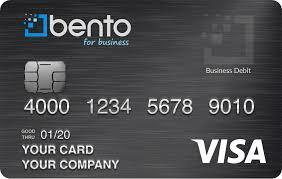 Bento for Business is among the most flexible prepaid debit cards on the market because of its balance requirements. It requires a minimum opening deposit, but no minimum balance requirement or maximum account limit. Netspend also has no minimum balance but has a $25,000 maximum balance. Minimum opening deposit is $10, but there are no minimum balance requirements. There is no maximum account limit, although there is a default daily load limit that can be adjusted upon request. Bento for Business can only accept fund transfers from an existing, verified checking or savings account via automated clearing house (ACH) or wire transfer. Transfers may take two to three days to complete, and your bank may charge an outgoing wire transfer fee. This wait is similar to other prepaid business cards. Bento for Business has one of the least restrictive load limit policies among cards on our list (there is no limit) and a higher daily spend limit than most cards of $25,000 per day. The Bento for Business prepaid card places no daily limits on transfers made via ACH or wire transfer. Funds should be available within two to three business days. Netspend has a load limit of $15,000 to $25,000 per day. 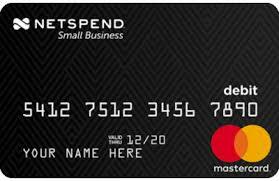 The Netspend Small Business Prepaid Card has a daily spend limit of $5,000 per card, much lower than Bento for Business. Bento for Business offers a full assortment of features not found on other prepaid business credit cards, including a 60-day free trial; spending restrictions that can be set by the day or among one of 22 merchant categories and the ability to turn employee cards on or off with one click. Auto rental collision damage waiver: Receive primary rental coverage when you rent a car for business. You may be reimbursed for up to the actual cash value of the vehicle in case of collision or theft. If the rental is for personal reasons, coverage is supplemental to your personal automobile insurance. Accounting system export: Enjoy real-time sync with QuickBooks or other software. No other cards on our list offer car rental insurance or purchase protection, but others, including Netspend, allow for syncing to business software. The options for loading funds are limited compared with other business prepaid cards on our list. If making a deposit by ACH debit or wire transfer isn’t something you’re interested in doing, this is not the right card for your business. Bento for Business reviews are generally positive. Users say managing multiple cards is simple and efficient, making it easy to control business expenses. Customer service is seen as a huge positive. Some cardholders complain that it takes too long for deposited funds to be processed. Apply online for instant approval. Your account will take two to three days to fund initially, and your first card is received within seven to 10 business days. There is no credit check. We like the Netspend Small Business Prepaid Card because it’s the cheapest option on our list for small businesses that need between three and 10 cards. You can load up to $25,000 to your account daily using direct deposit, check, ACH/wire transfer, or via a physical reload station. Employees can spend up to $5,000 per day per card. Monthly fees start at $9.95 for the first card. There is a cheaper option than the Netspend Small Business Prepaid Card for businesses that need just one or two cards — Bento for Business — but this is the least expensive option for firms with three to 10 people authorized to spend company funds. Businesses with growth aspirations might think twice about this business debit card because of the card limit. Unlike several other business credit cards on our list, like Bento for Business and PEX, the Netspend Small Business Prepaid Card has a maximum balance limit. If your firm needs spending flexibility above $25,000, your business may want to consider other options. The Netspend Small Business Prepaid Card has no minimum balance requirement. Other cards, like Bento for Business and PEX, also have not minimum balance requirement. The Netspend Small Business Prepaid Card has a maximum account balance $25,000. This means that you can’t load more than $25,000 into your account at any one time, regardless of the number of cards your company has. Other cards, like Bento for Business and Emburse Prefunded Mastercard, have no maximum account balance. You can add and remove funds easily from individual cards and track activity with transaction alerts when spending occurs. Prepaid business credit card issuers may set daily load and spending limits as a way to protect your business from fraud. Netspend is one of the few prepaid debit cards that sets a per-card spending limit, which is yet another way to control employee access to company money. Verification is optional for sole proprietorships but is required of all other business types within 30 days of card activation. No other prepaid business credit card on our list requires verification to increase load limits. The Netspend Small Business Prepaid Card has a daily spend limit of $5,000 per card. Remember, though, that the maximum balance per account is $25,000, which means your daily spending limit may be significantly lower if you have multiple card owners. You can also receive text messages or email updates for every transaction and get daily or weekly balance updates. Bento for Business has a $25,000 daily spend limit while the PEX Prepaid Visa has no limit. In addition to its prepaid business credit card, Netspend also offers a processing service your business can use to accept checks, credit and debit cards as payment. You can apply for a ProPay account after opening your Netspend Small Business Prepaid Mastercard. You can also participate in the Mastercard Easy Savings program, which makes your business eligible to receive rebates on qualified purchases at participating Easy Savings merchants. No coupons or codes necessary. No other card offers a similar program. This prepaid debit card is not a good fit for businesses that have many employees authorized to spend on behalf of the firm. The 10-card max is quite low when compared with other prepaid cards on our list. Daily spending limits also may prove to be too inflexible for some owners. Netspend Small Business Prepaid Card reviews indicate users said they are happy with the daily spend limit. Some users complained about not having access to their money. In 2017, Netspend settled Federal Trade Commission allegations that the firm deceived users of its consumer debit card about access to deposited funds. Apply online for instant approval. It takes two to three days to load your account, and you’ll receive your first prepaid business card within seven to 10 business days. There is no credit check. PEX Prepaid Visa is great for large businesses, as it offers 100 or more employee cards per account, well more than some of the other cards on our list. Further, PEX offers an unlimited number of daily loads and transactions. However, it charges a $49.95 setup fee and a monthly fee of as much as $200. PEX Prepaid Visa also offers its Core account on a per-card basis for smaller businesses starting at $8 per month. That’s more expensive than Bento for Business, which charges no monthly fee when you need one or two cards. The subscription fee is waived in months in which you spend $50,000. This is the only card on our list that charges a setup fee, so it’s cost prohibitive to open a PEX Prepaid Visa account unless you’re a large business. The PEX Prepaid Visa is best for businesses that need the flexibility to load and spend up to $25,000 daily. For this reason, it has some of the least restrictive balance requirements of any of the cards on our list. Netspend has as $25,000 maximum balance allowance per account. There is no per-card minimum balance requirement, but you must keep at least $50 in your PEX account. Neither Bento for Business nor Netspend have a minimum balance requirement. The maximum per-card balance is $25,000. There is no account maximum. Netspend has a $25,000 account maximum limit. The PEX Prepaid Visa only allows you to transfer funds via ACH transactions or wire transfers. This means that it’ll take between two to three days to load funds onto the card and might cost a wire transfer fee. These loading options are similar to what you’d find on the Bento for Business card. 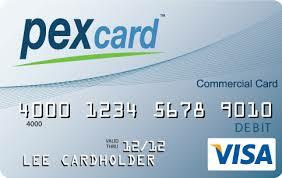 PEX Prepaid Visa is the least restrictive card on our list when it comes to both load and spending limits. There are no load or daily spend limits. The PEX business prepaid card lets you load an unlimited amount of cash into your account daily. However, PEX puts a $25,000 cap on individual load transactions. The PEX Prepaid Visa is one of the few business prepaid cards without a daily spend limit. This means that you and your employees can spend an unlimited amount per card as well as per account. Just keep in mind the $25,000 card balance limit. Like Bento for Business, PEX Prepaid Visa offers numerous spending controls that allow owners to limit spending on individual cards by merchant categories or specific hours of the day and reject purchases based on your settings. PEX reports transactions in real-time, and the PEX application programming interface (API) can integrate with existing business systems to give firms a custom, automated payment platform that’s able to process millions of transactions a day. PEX says its PEX Prepaid Visa can be a replacement for petty cash even among small firms. But even though PEX offers a per-card option, there are other more cost-effective solutions for businesses with 20 or fewer employees. Bento for Business, for example, charges no monthly if you need one or two cards, while Netspend charges $27.50 if you need 10 cards. PEX Prepaid Visa reviews show that users find the monthly fees are reasonable and small-business friendly. Some users indicate they’ve had problems with deposits being withheld, making their card transactions unsuccessful. The PEX Prepaid Visa has a longer approval process than other cards on our list, between one and three days. Once approved, it takes about two to three days to load your account and seven to 10 business days to receive your first card. There is no credit check. The Emburse Prefunded Mastercard is ideal for companies with many distributed employees or off-site contractors because it offers both virtual and physical cards, unlike other prepaid business debit cards on this list. If your employees need online spending solutions only, this card could be a good fit. Monthly fees start at $50. You can have as few as three active cardholders, but Emburse will charge $15 per month per cardholder in this case, so the Starter package makes more sense if you need more than three cards. Bento for Business charges no monthly fee for the first two cards issued, while Netspend charges $9.95 for the first card and $1.95 for each additional card up to 10 cards. Emburse does not include a minimum or maximum account balance requirement in its terms of service. Rather, Emburse sets a maximum spend limit of $25,000 per day no matter the number of cards your business uses. This is similar to other prepaid cards that don’t set minimum balances, although those firms are more explicit. The Emburse Prefunded Mastercard comes with two options for funding: prefunding and invoice-based funding. Funding your Emburse account may be done through ACH only. This is more restrictive than Netspend or PEX, which also allow wire transfers. Emburse Prefunded Mastercard doesn’t limit daily loads, but it does have a daily spending limit, unlike PEX Prepaid Visa. Emburse Prefunded Mastercard does not have a daily load limit. It may take up to three days for funding to appear in your account after authorization. Like the other business debit cards on our list, the Emburse Prefunded Mastercard offers tools to automate bookkeeping and organize financial business transactions. Emburse integrates with several types of accounting software including Expensify, NetSuite, QuickBooks, and Xero. Data can also be exported to CSV or Excel and imported into other types of accounting software. Finally, Emburse offers a free 30-day trial. Bento for Business offers a 60-day trial, but other cards on this list do not offer this option. 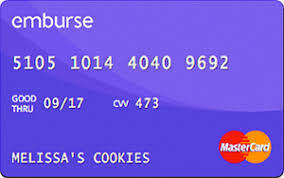 Emburse doesn’t allow for cash withdrawals, so if you need your employees to have access to an ATM, this isn’t the right card for you. You’ll also find less expensive options for larger businesses. Emburse does not advertise a way to have monthly fees waived when meeting a certain spending threshold. We could not find any online user reviews for Emburse or the Emburse Prefunded Mastercard. Apply online for the Emburse Prefunded Mastercard. Virtual cards can be used instantly upon approval. Physical cards may arrive within five to seven business days. You can order a prepaid debit card for each employee or contractor using just a name and email address to enable pre-approved spending. No credit check is required. 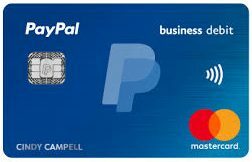 The PayPal Business Debit Mastercard is ideal if you already use PayPal to process your business’ card payments — or you’re open to this vendor — and you don’t need more than two prepaid business debit cards. The card charges no monthly fee, but this is the most limited option among the choices on our list, which makes it an ideal pick for a sole proprietor. You can receive one authorized user card on your account. There is no charge for this card. You must have a PayPal Business Account to qualify, although that account is free to open, as well. This card is the cheapest of the cards on our list, but also the most limiting in terms of the number of cards since you can only get two. All other cards allow more cards. The PayPal Business Debit Mastercard does not have a minimum or maximum account balance requirement. Rather, Emburse sets a maximum spend limit of $3,000 per day. That’s the lowest spending limit among the cards on our list. The PayPal Business Debit Mastercard has no minimum balance. There is no maximum balance, although there are pretty strict spending limits which could make accumulating a large balance unnecessary. Like PayPal, Netspend also offers reload stations, but most of the other cards on our list, including PEX and Bento for Business, also allow for ACH and wire transfers. PayPal Business Debit Mastercard doesn’t limit daily loads, but it does have a daily spending limit, unlike PEX Prepaid Visa. There are no daily load limits. PayPal Business Debit Mastercard limits daily purchases to $3,000 and cash withdrawals to $400. The spending limit is the lowest among the prepaid business debit cards on our list. If you need to make regular large transactions, this might not be the card for you. 1% cash back on the net amount of your eligible purchases each month. PIN-based transactions do not qualify. Your rewards will be calculated at the end of each calendar month and added to your PayPal balance. You’ll also need to activate the card online to qualify for rewards. Although the card carries no monthly fee, account holders are restricted to just two cards total. For anything other than a sole proprietorship, the PayPal Business Debit Mastercard is a tough sell. What’s more, its relatively low daily spending limits means this isn’t a card that some businesses may be able to use to make the bulk of their card transactions. PayPal Business Debit Mastercard reviews show users applaud the rewards as a unique benefit for a prepaid business credit card. 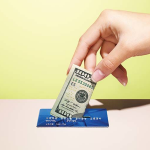 Some users note difficulty transferring funds onto the card. Others said they were unhappy about a 2018 change that required cardholders to open a PayPal Business Account. You can apply for the PayPal Business Debit Mastercard by logging into your existing PayPal Business Account to request your prepaid debit card. If you are approved, your card will arrive in seven to 10 business days. There is no credit check. The Wells Fargo Business Secured Card is not a prepaid business debit card, but it offers business owners looking to build credit an opportunity to do so. None of the other cards on our list allow for that as there is no credit check. In all other ways, this card acts like a prepaid card, as your spending limit is equal to the amount of money you deposit in your account, up to $25,000. There is no monthly fee, but you’ll be charged ongoing APR of 17.40%. Fees: Up to $39 if you pay late; you’ll pay no foreign transaction fee on purchases made outside the U.S. Annual fee: $25 per card on up to 10 cards maximum. This is a secured credit card, so there are ongoing fees if you carry a balance, which is different than a prepaid business credit card, which charges no interest. The annual fee replaces monthly fees charged by the prepaid business credit cards on our list. Bento charges no monthly fee for the first two cards. 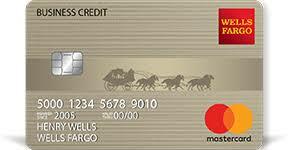 Like the PayPal Business Debit Mastercard, the Wells Fargo Business Secured Card offers a rewards program. PayPal offers a 1% return. This card, like Bento for Business, offers a purchase protection program. The issuer will replace, repair or reimburse you for eligible items in the event of theft or damage within the first 90 days of purchase. This card doesn’t have nearly the robust accounting aids that some of the small business prepaid cards offer, plus there’s only a 10-card limit, which makes this card a tough sell for companies with more than a few employees with spending authority. You are liable for spending on this card, which means your credit could be hurt by late payments. The prepaid debit cards on our list, like Bento for Business, have less risk because there are no payments. User reviews are mixed for the Wells Fargo Business Secured Card. Business owners say their responsible use of this card has allowed them to improve their personal credit score, sometimes by more than 100 points. Others complain that even with responsible use, the issuer failed to offer them a chance to graduate to an unsecured business credit card. Online applications are taken for the Wells Fargo Business Secured Card only for business owners with an existing relationship with the bank. Others need to apply in person at a branch. When considering your application, Wells Fargo will examine your credit experience and payment history, cash flow and existing credit obligations and your current bank relationship. Prepaid card for business expenses are a great option for firms large and small that need strict employee spending standards and don’t want to take on the personal risk associated with small business credit cards. The best prepaid business cards charge low monthly fees and offer flexible loading and spending options. We like Bento for Business because it offers a free option for very small businesses that need two or fewer cards and generous monthly costs for companies with larger needs. Because it doesn’t charge a per-card fee, we find that Bento for Business could be ideal for companies that need 11 to 25 cards. You’ll pay just $69 a month or as little as $2.76 per card. What other business prepaid card offers taking credit card payments? Here’s a link to all our reviews for vendors that offer prepaid cards.